"It is the only place to go when you have an injury"
Our doctors help athletes, hard workers, and everyday people who experience discomfort or lost function to excel at the sport of life. We are sport therapists who keep you living and performing at your best. WE UNDERSTAND WHAT PATIENTS WANT. Fast pain relief, personal attention, and the ability to keep doing what you love. Our doctors take their time to talk to you and learn about your problem, analyze your movements and uncover the root cause of each individual complaint. Once the source of discomfort is detected, we will use the most appropriate treatment(s) from our unique tool box quickly resolving symptoms while keeping you active. 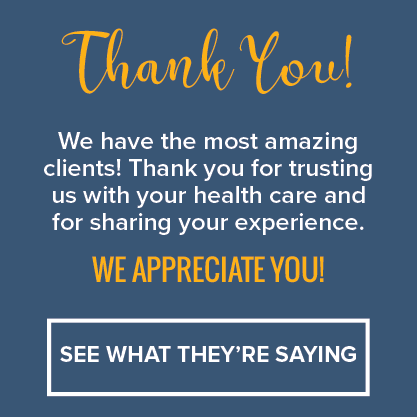 We spend time teaching you about your condition and how to treat it yourself at home which speeds your recovery and reduces or eliminates your need for recurring visits. If we're not seeing progress after a couple treatments, we will provide you with the proper referral. We don't care who gets you results as long as you get them! Typically where you feel your discomfort is NOT the source of the problem. We will uncover and relieve the real reason you hurt and teach you to understand and recognize it before it slows you down in the future. Pain, discomfort, and loss of mobility manifest in different ways from all over the body. If something doesn't feel right or something is affecting the way you move, come on in - we'll trace down the cause, teach you about what we find and get to work quickly cleaning up your condition. Many times the pain you feel is the result of altered movement/motion in a different part of your body. We love solving these puzzles, giving you lasting results by treating the root cause instead of just the symptom. If you have been diagnosed with a musculoskeletal condition, we will approach it with new eyes to assess where your symptoms are coming from and use non-invasive, hands-on therapies to bring resolution to your discomfort. 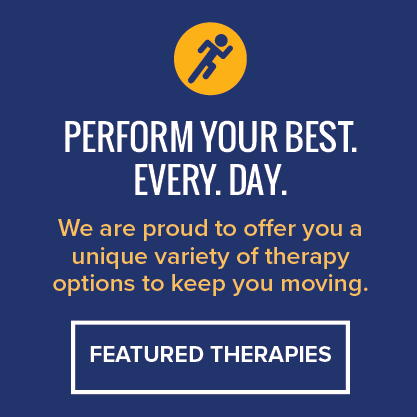 Even if you've been living with a condition for years, often times our doctors can provide relief by identifying and reducing tissue adhesion, and pinpointing movement imbalances or muscle weaknesses that have developed as a result of long-term over-compensation or low level muscle tension. “They practice non-invasive therapy and do not prescribe meds. They have helped me recover from injury and given me knowledge to help me stay healthy in the future." a hands-on manual soft tissue therapy that treats problems with muscles, tendons, ligaments, fascia and nerves. a series of 7 full-body movement tests designed to assess fundamental patterns of movement used to identify dysfunction. the use of needles to release muscles knotted in a protective tension state. a system of evaluating common back and neck problems using mechanical principles, then teaching the patient reverse force techniques to correct and prevent the problem. IASTM instruments magnify abnormalities making it easier to detect and treat fascial dysfunction, triggering an inflammatory healing response. The use of uniquely designed tape over and around muscles in order to give assistance and support or to prevent over-contraction. a one-on-one session facilitating deep muscle relaxation and enhancing flexibility and mobility and reducing soreness. the scientific manipulation of soft tissues using manual techniques that include applying fixed or movable pressure. a series of targeted exercises used to restore balance and range of motion and prevent injury. The detection and manual correction of altered function and orientation of the joints of the spine and extremities. "Do yourself a favor and come here first. This is the ONLY place I trust."